Published: Aug. 17, 2018 at 10:45 p.m.
Miami Dolphins quarterback Bryce Petty rushes for an end-of-game touchdown against the Carolina Panthers. 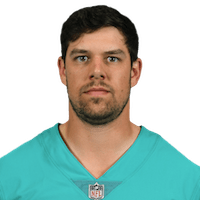 Published: Aug. 9, 2018 at 10:23 p.m.
Miami Dolphins QB Bryce Petty finds wide receiver Isaiah Ford for a 6-yard touchdown reception. Published: Dec. 17, 2016 at 10:37 p.m.
New York Jets QB Bryce Petty is intercepted by Miami Dolphins cornerback Tony Lippett. Published: Dec. 17, 2016 at 09:49 p.m.
Miami Dolphins defensive end Cameron Wake intercepts New York Jets QB Bryce Petty.